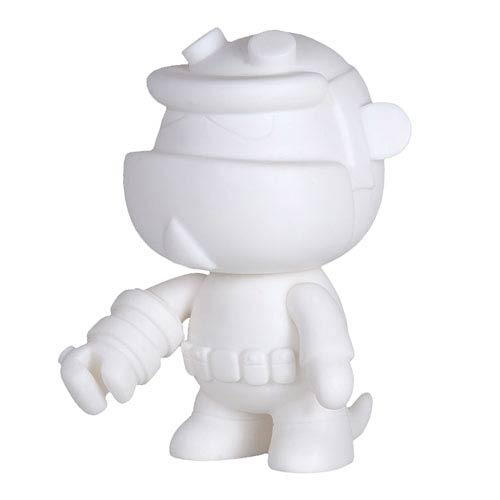 Stave off things that go bump in the night with this awesome Hellboy 5-Inch Mini Qee Do It Yourself Vinyl Mini-Figure! Hellboy, the demon-dude with a gigantic Right Hand of Doom, is a great-looking do-it-yourself vinyl mini-figure rendered in the cool Qee style. Measuring 5-inches tall, you can make Hellboy look however you want!